Nestled in the verdant farm country of Southwestern Ontario at the confluence of two major rivers, the city of Guelph successfully balances economic prosperity and quality of life. On one hand it’s a major manufacturing hub and one of the fastest growing cities in Canada; on the other it’s a picture-perfect community that’s consistently rated as one of the country’s best places to live. 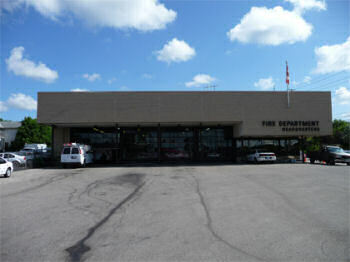 Guelph Fire Department has in its own way achieved a similarly positive balance – combining a strong tradition of professionalism and accomplishment with a forward-thinking outlook that’s always exploring new and innovative ways to better protect the lives and property of the people they serve. Now, thanks to Symposium Technologies, Guelph Fire has a new tool in their arsenal – a fully integrated map-based CAD system that provides dispatchers and responding personnel with the most up-to-date and accurate response capability available. 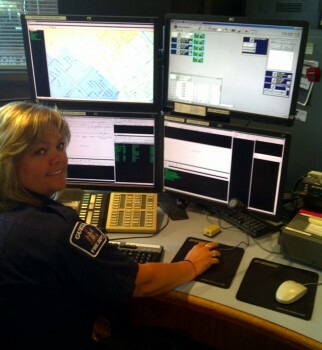 Changing dispatch providers wasn’t a project that Guelph undertook lightly. Instead, the department took a very systematic approach to evaluating their options, and narrowed down their focus to four key factors – customizability, integration, future expandability, and reputation. Ultimately it was Symposium’s outstanding track record in each of these areas that resulted in us being awarded the contract. Department management decided that having a solution that would adapt readily to the specific operational needs of Guelph and the surrounding communities was a crucial consideration. Because Symposium Technologies’ Horizon EME CAD was built from the ground up to deliver multi-agency customizability, we were able to provide Guelph Fire and the departments of Wellington County with a dispatch solution that mirrors the way they respond. Another factor they considered essential in a CAD was the ability to integrate with other third-party software and hardware systems (such as Guelph’s FIREHOUSE RMS and FMC Alarm Monitoring System). Because Symposium’s Horizon EME is built using open, industry-standard principles, it provides full integration with the widest range of outside applications. As a result the new Guelph CAD seamlessly integrates with not just FIREHOUSE and FMC, but Phase II e911, trip tickets, and other services as well. On that note, Guelph also wanted a system that was highly extensible in terms of future technologies, upgrades, and capabilities. This was especially true in the area of mobile data, something the department sees as key to their strategy for delivering even more effective response. Symposium has long been an industry leader in delivering ongoing upgrades and improvements, as well as in developing innovative mobile data solutions. Our proven EM Mobile system delivers in-vehicle real-time access to all incident, mapping, premise and GPS-based info via seamless integration with CAD, RMS, alarm monitoring, and other systems, and has a solid reputation of helping departments like Guelph Fire respond faster, safer, and more effectively. Department management at Guelph also understood that while systems may look good on paper, this alone isn’t a basis for judging real-world performance. Symposium has an established track record of bringing projects in on time and on budget, as well as an industry-leading reputation for follow-up service and support. And with other Symposium clients located throughout the region, it was easy for Guelph’s decision makers to visit other nearby departments and verify for themselves the level of performance Symposium delivers. Guelph enjoyed a straightforward and smooth implementation, something which has become a hallmark of Symposium projects. And, as with all Symposium installations, a great deal of time and effort was put into ensuring the final system met the department’s needs, expectations, and operational requirements. Going forward, we look forward to working with Guelph to ensure they derive the very best benefit from their new dispatching solution, both now and in the future.